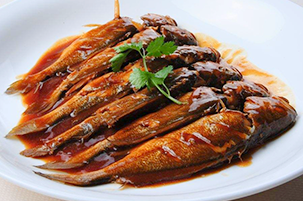 Located on the lower reaches of the Yangtze River, Nantong faces a wide area of the river that provides the rich bait preferred by the saury, a local fish. 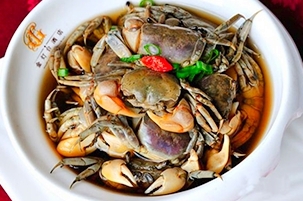 ​There are many cooking methods for crabs, including pickling them or frying them with our without eggplant. 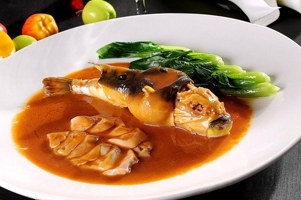 The puffer has the distinctive characteristics common to the three delicacies of the Yangtze River: it is carnivorous, migrates both river and sea, and is tender and delicious. 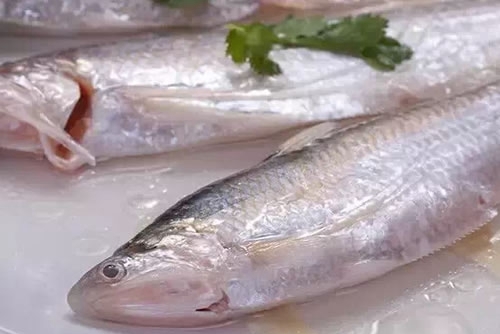 Hilsa herring is a kind of anadromous migratory fish, named for the river it enters each year. 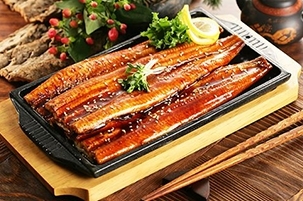 Eel meat has high trophic value, and constitutes 84 percent of an eel’s body. 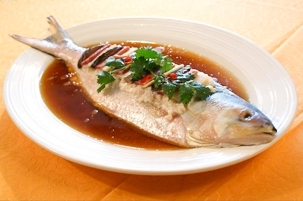 In spring, Coilia ectenes goes upstream in groups, heralding the start of the fishing season.